Almachar Malaga - Getting from Malaga airport to Almachar. 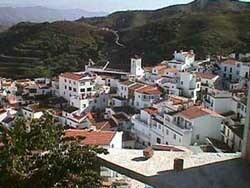 Almachar is a municipality in the province of Malaga situated in the Axarquia region, only 35 kilometres away from Malaga, and if you need to know how to get there, visit the bottom of the page where we provide instructions and a map that shows which directions to take. The name of this village has Arabic origins like almost all the names that we’ll find in Andalusia, originally known as “Al Maysar”, which means “Land of the Prairies”. The first historical data of the village are from after the Reconquista, when the families that cultivated the grape occupied the land; Almachar in that moment was under the protection of the Comares castle, as were other nearby villages. The construction of a huge cross made that this village would end up being known as Almachar de la Cruz (Almachar of the cross), and it was in the late 19th century and early 20th when Almachar reached recognition for the quality its handmade fabrics. Currently the vast majority of its population work on the lands and harvest muscatel grapes and raisins, just how they did after the Christians conquered the municipality; places where it seems that time doesn’t pass by and that are highly recommendable to visit. The M-262 line currently connects Malaga with Benagalbon and Almachar twice a day except for Sundays and bank holidays. If you go by car or if you have hired a car at Malaga airport with us, you must follow the Mediterranean motorway until you reach Rincon de la Victoria, and from there take the road towards Moclinejo and continue untill you get to Almachar.